The human spine is made of small bones called vertebrae, which are stacked together with discs, one on top of the other. A healthy spine will have a gentle curve when looked from the side, which is quite natural. In fact, the curve of the spine helps it to absorb stress and shock from gravity and body movement. The spine should run straight down the middle of the back and if there are any abnormalities, it will get misaligned at some areas. This condition is called spine curvature disorder and can be broadly classified into Lordosis, Kyphosis, and Scoliosis. Below is a brief overview on spine curvature disorder types and its treatment methods. Lordosis – This spine curvature disorder is also called swayback. In this condition, the spine of the person will curve inward significantly at the lower back, leading to severe pain in the area. Kyphosis – This is a disorder, in which the upper back of the person will be significantly rounded and will have more than fifty degrees of curvature. Scoliosis – In this case, the spine will have a sideways curvature and the curve can be C or S shaped. The treatment of spine curvature disorder is done depending on the severity and the type issue experienced by the patient. Usually, mild curvatures are not required to be treated, but using a back brace or surgery is advised in severe cases. Lordosis treatment includes pain medication, exercise and physical therapy, wearing of a back brace, and surgery. Weight loss is also recommended if you are overweight. Kyphosis treatment involves exercise, pain medications, back brace, and surgery, where Scoliosis treatment includes observation, bracing, and surgery. 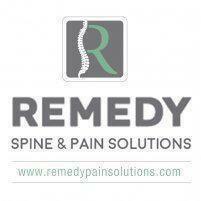 If you suffer from any type of spine curvature disorder, contact Remedy Pain Solutions today for a checkup. We can help you diagnose the type of spine curvature disorder you are experiencing and recommend the best treatment method to help treat you.